Anyway… Books read in July. 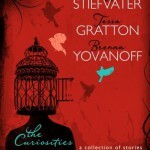 The Curiosities: A Collection of Stories, by Maggie Stiefvater, Tessa Gratton and Brenna Yovanoff — A collection of short stories by three YA authors, who are also each others’ critique partners. Maggie Stiefvater and pals decided some years ago to post a short story a week online (here) as a way of stretching their writing skills. This collection contains some of their best. What makes this book especially unique is that each story is peppered with ‘hand-written’ annotations by all three authors, which was so much fun to read. I really enjoyed a lot of the stories, especially Brenna Yovanoff’s because she is my most favourite YA author ever. The trio are releasing a second collection of stories in October, so I’ll be watching out for that. 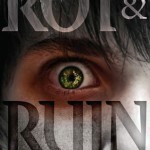 Rot and Ruin by Jonathan Maberry — The first book in a YA zombie series. Set many years after zombies destroyed the world, this sounded right up my street, as I love post-apocalyptic fiction. An exciting plot and plenty of humour, but not sure if I’ll continue the series. 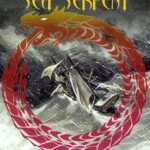 The Scribbling Sea Serpent by Kate Kelly — A collection of adult sci-fi and fantasy short stories by fellow Author Allsort and YA author Kate Kelly. I wasn’t sure what to expect, but ended up really enjoying it. Kate has a fantastic imagination! Her background as a scientist shines through, lending believable details to many of her tales. Some of them I could imagine as the opening scenes to sci-fi films—the kind where an archaeologist or explorer comes across something bizarre and unexpected, only to succumb to a terrible fate that’s about to take down the world. Darkmere by Helen Maslin — My favourite book of the month! 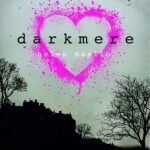 Darkmere is a YA ghost story and is released next week. Read my review here. 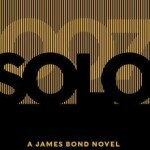 Solo by William Boyd — James Bond novel given to me by my father-in-law. Not my usual kind of book, but entertaining. 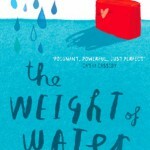 The Weight of Water by Sarah Crossan — I’ve wanted to read one of Sarah Crossan’s YA verse novels for a long time, so picked this up at YALC. I sped through it in a couple of hours, and am in awe of Sarah’s writing. Eager to read her new book One, which is getting lots of love at the moment. 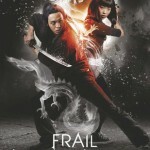 Frail Human Heart by Zoe Marriott — The final book in YA urban fantasy series The Name of the Blade. 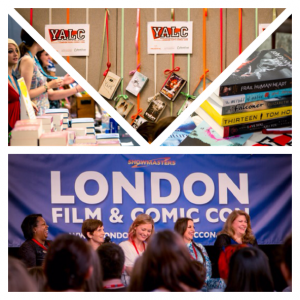 I bought a copy at YALC, and it was as wonderful as I could have hoped for. One thing I especially like about these books (apart from the story) is the brief summary of the plot printed at the beginning of books two and three — having struggled to get back into a couple of series recently, I think every publisher should do this. 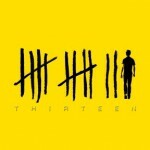 Thirteen by Tom Hoyle — Another book picked up at YALC. Love the striking cover. About a teenage boy who finds himself the victim of a murderous cult, this had a slow beginning but a really dramatic second half. What was the best book you read in July?